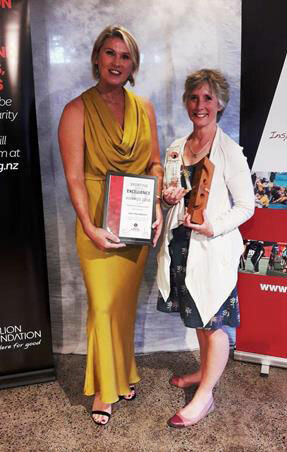 Counties Manukau Orienteering Club was awarded the Lion Foundation Club of the Year 2018 at the 2018 Counties Manukau Sporting Excellence Awards Ceremony held last Sunday (2nd December 2018) at the Karaka Blood Stock Centre. Ross Brighouse – formally acknowledged for his Service to Sport having given over 40 years’ service to Orienteering as both a competitor and a club member; an amazing achievement and demonstration of individual dedication. Well done to all those from the Club who were nominated. 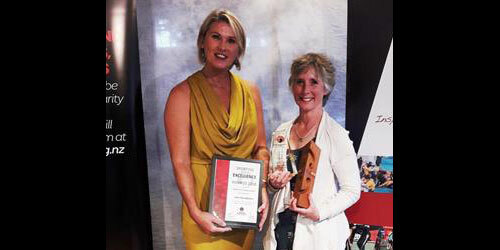 The CMOC Committee are REALLY pleased to inform all our Club Members that the extremely hard work people such as Val and John Robinson, Brian Long, Ross Brighouse and Unni Lewis do within the many schools and organisations across our community has been recognised in the presentation of the Lion Foundation Club of the Year 2018 Award to Counties Manukau Orienteering Club. They spend countless hours organising events across schools and community clubs that introduce children to Orienteering in addition to the many other hours they give up to coach and run club events across the calendar year from the schools sprint series to our own Club events. On top of all that Val and John also accompany the school teams to national events in a coaching and mentoring capacity. Many more hours are also given to the organisation of Club and Club events by other people such as Sarah Steel, our President, John and Rae Powell and Lyndsey and Bev Shuker. A huge thank you to you all, your efforts and the donation of your time are greatly appreciated. We would also like to acknowledge the support of all the schools, the time given by teachers and sports liaison staff as well as parents and the kids themselves to the success of Orienteering across the region!!! We could not do it without you all; you really are awesome. This award is a true team effort at all levels and a proud moment for us all. Thank you to everyone who contributes to our Club.